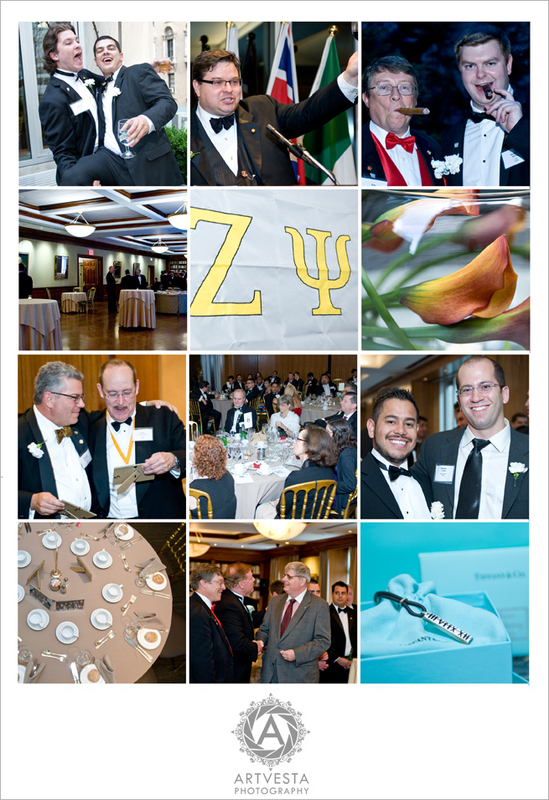 On May 31st, 2014 I photographed The Third Annual NYC Zeta Psi Founder’s Day Banquet in celebration of Zeta Psi’s Founding 167years ago. 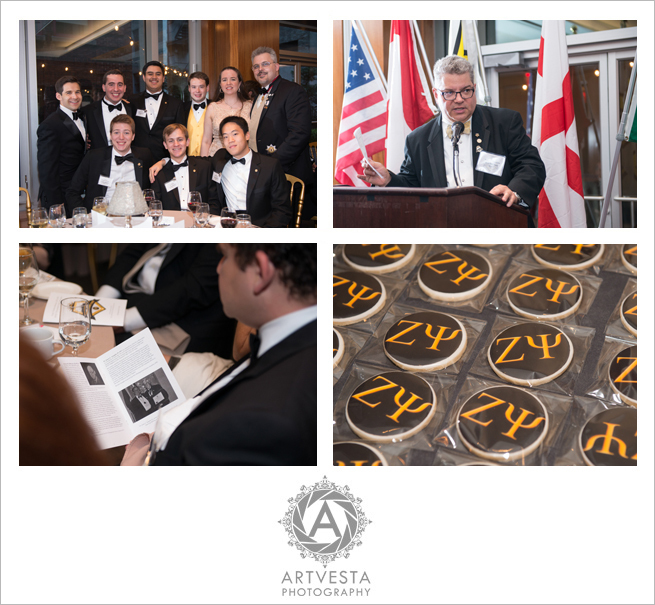 Hosted by Zeta Psi NYC Regional Alumni Wine Club (RAWC), the event was held at the prestigious Columbia University Club of New York (in residence of the Princeton Club of New York). This is my third year photographing this event and it has been wonderful watching it grow. Events like this are always full of great interactions and I always do my best to capture at least a few great photo journalistic shots. 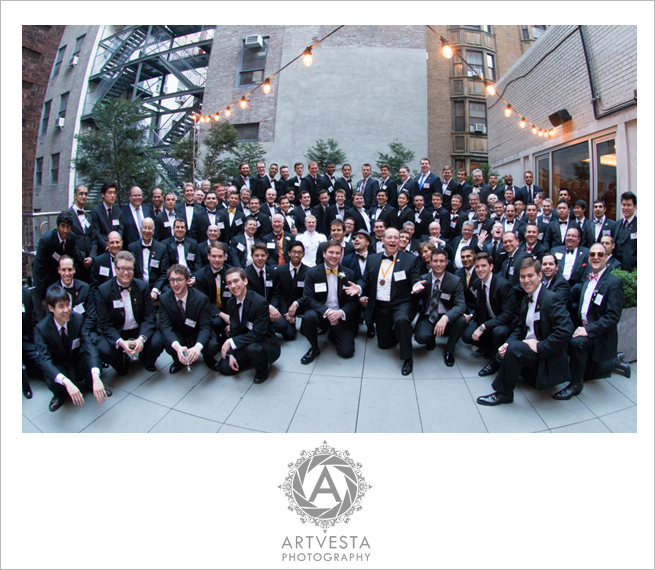 Photo above: due to a very limited space, I had to utilize my fish-eye lens to fit all 120 people into the photo! I always take a lot of traditional shots, “table shots”, photos of details, and a few photo journalistic photos to fully preserve memories of an event. 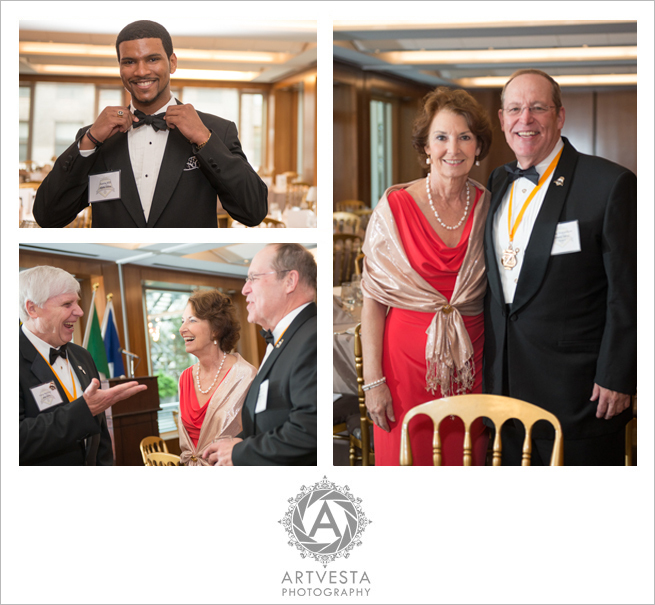 Photo below is from the Founders Day celebration 2013. The two brothers are looking at printed photos from the 2012 event and sharing their memories. My mission is accomplished. Special thank you to Stephen Halperin for putting together such a fantastic event and for making me a part of the celebration. I first met Tatiana at a wine seminar/tasting that she was photographing in Feb 2012. I was immediately impressed with the way she worked her way around the event taking photos. 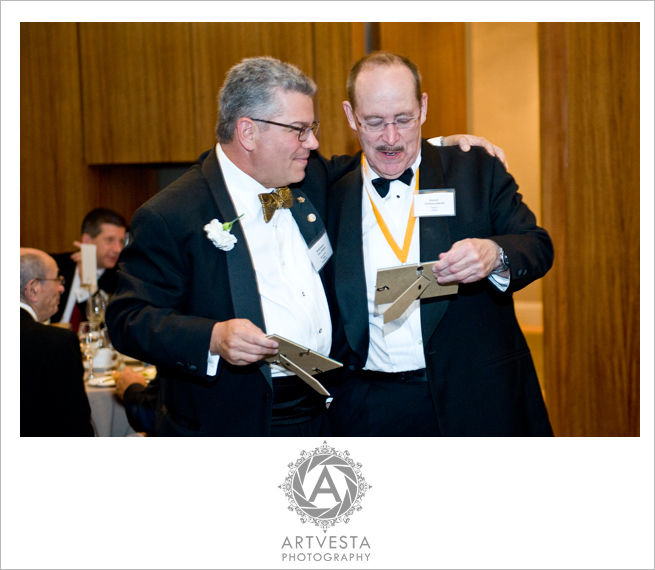 When I saw the photos a few days later,I loved them, so I reached out to her to photograph an inaugural black tie alumni event that I was hosting in June of 2012. Since then Tatiana has become the official photographer of our event. 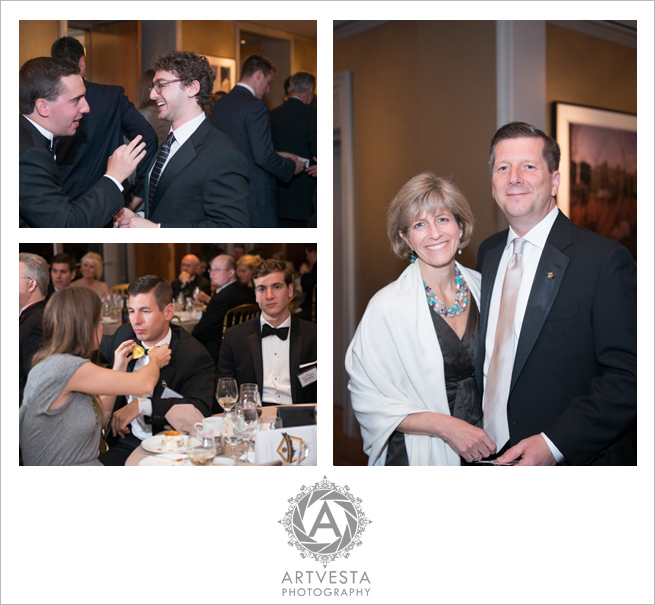 We recently held our third annual banquet on May 31, 2014. 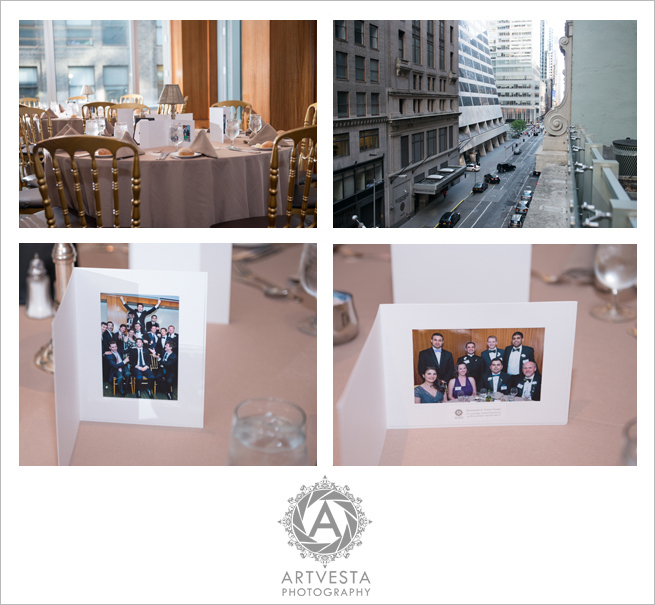 I have received many compliments on both Tatiana’s photographs and the way she works the event from the attendees. She is always “there”, but never “in the way”. As the organizer/host of these events, I appreciate that Tatiana asks me for the “must get” photographs that I want, her ability to record everything I could ask for with her camera, the speed in which she gets me the finished product, and of course the excellent quality of the photographs. This year she even brought a fish-eye wide angle lens to take group shot of over 120 people.